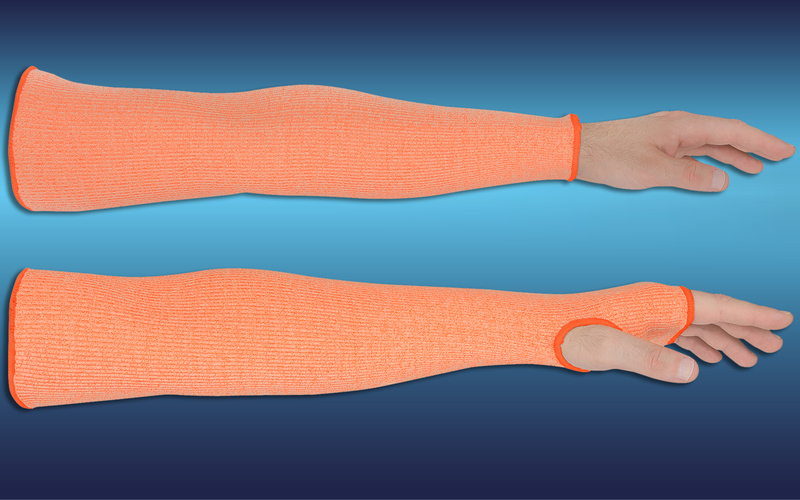 PUREX™ Cut and Abrasion Resistant Sleeves are the ultimate in abrasion resistance. Keep your arms cool, comfortable, and well protected with this cut-resistant sleeve. Using exclusive technology, the sleeve delivers ANSI level A4 cut protection in a sleeve so thin you can almost see through it. Knitting in a COOL inner layer, moisture will be wicked away from the arm, keeping the wearer dry, cool, and comfortable for hours. The stretch and fabric memory will conform to just about any size arm and may be worn over clothing. Proudly Made in the USA.